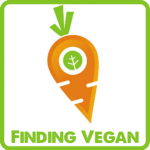 I’m so excited to be participating in the Virtual Vegan Potluck,a yearly online party for vegan-friendly bloggers. This is their 5th Potluck party and the first one for me! 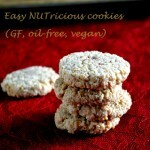 Annie, the blogger at An Unrefined Vegan organizes this event and my entry is in the Desserts category. Do check out the other entries using the links given at the end of this post. Orange is a featured ingredient for this event, and I chose to use it in my dessert. 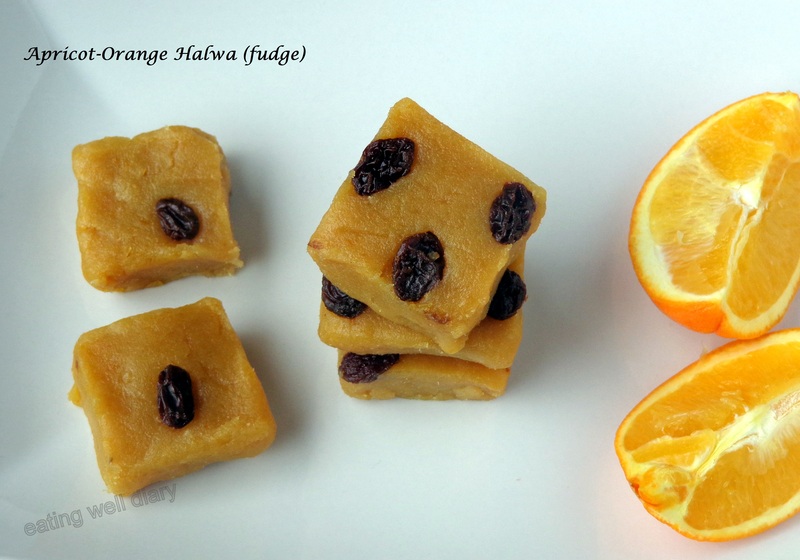 So here’s a novel fudge or Indian halwa using whole orange in it! 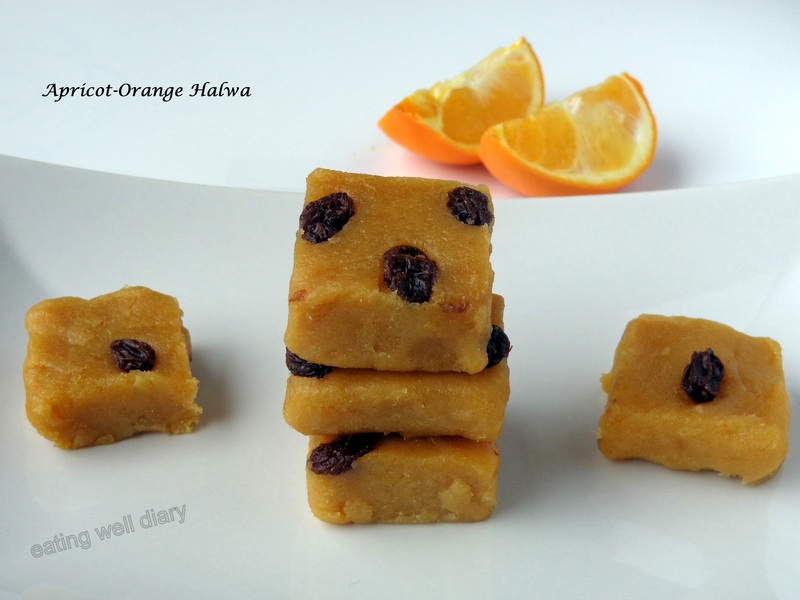 Traditional halwa is a decadent dessert made with a lot of sugar and milk with a chunk of ghee. I have used coconut oil in place of ghee. 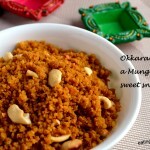 The resulting halwa has a sweetness from apricots and the orange lends a tangy taste. My friends loved it when I served this to them; hope you make some too! Also sharing this at Fiesta Friday #46. At this week’s party Angie is joined by co-hosts Margy of La Petite Casserole and Juju of Cooking with aunt Juju. 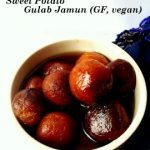 Check the link for lovely food ideas! 1. Soak cashews for 3-4 hours. Drain water. 2. Soak dried apricots in water for about 2 hours. If using bright-orange apricots, add a drop of hydrogen peroxide while soaking (optional, this is to oxidize potentially harmful sulfites). Drain water. Peel the orange and remove the central white portion (if using a Navel orange). 3. In a blender, add soaked cashews, apricots, peeled orange, sugar and almond milk. Blend to a smooth paste. Use additional almond milk if necessary. 4. Add the blended mixture to a pan (preferably non-stick) on the stove. Add cardamom powder and 2 tbsp. coconut oil, stir on medium heat. Taste and adjust flavor with sugar if necessary. 5. When most of the water evaporates, add one more tbsp. of oil. When the mixture leaves the sides of the pan and the oil separates from the halwa, transfer it to a greased dish. 6. 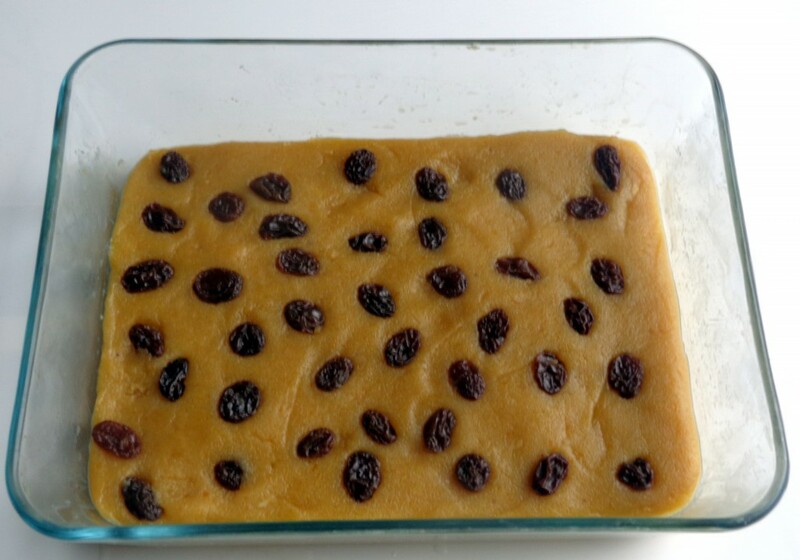 Shallow-fry some raisins in coconut oil and press them down on the fudge. 7. Allow to cool to room temperature and refrigerate before cutting into squares. Store in the fridge for a week, if it lasts that long! So fun to see what everyone has done w/ the Featured Ingredient! This looks especially tasty! Thanks so much for sharing it with us. Thank you so much for the opportunity, Annie. I loved taking part in this exciting potluck. I love fudge for its soft texture. This looks perfect with orange and flavours! I am overwhelmed by all the varieties of halwa when I thought carrot was the only option. This looks as delicious as any. 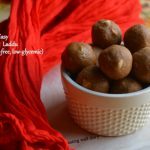 great vegan recipe! love the apricot and orange additions ! Thank you so much for visiting, Anu! Very glad that you like this combination. Oh my goodness this looks divine! Yum! Apricot and orange???? I can smell these fudge from here! Thanks for being at FF! I’ve never had a fruit flavored fudge before, so it’s time I give it a try. Sounds delicious! I’m glad you like it, Amy. Thanks for visiting! I love halwa! Nice idea to add apricots in there. Sounds really yummy!